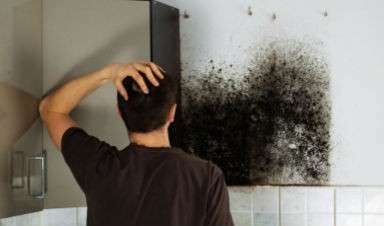 » Why Is There Black Mold In My House? Why Is There Black Mold In My House? Some may argue that a sudden mold infestation can be even more surprising and irritating in an old house that you’ve lived in for decades – you’ve never had any such problems before, the relative humidity was never really noticeable or problematic, and just when you paid off the mortgage – Bam! half a wall gets covered with nasty black stuff. And that’s the icing on the cake – the mold is black and suspiciously looks like black mold, otherwise known as Stachybotrys chartarum or Stachybotrys atra. So, what’s the answer to your question? Why is there black mold in your house all of a sudden? Mold spores. Mold infestations begin from the spores that float through the air. You might feel as if there should be a way to prevent these spores from getting into your house in the first place – some filters or a setting on the A/C unit that takes care of them, but this is not possible. Mold spores are so minuscule and so numerous, that they are virtually everywhere. Chances are that as you are reading this right now, you are actually breathing in mold spores. There’s nothing to worry about, of course, mold spores are not toxic in any way - they are perfectly harmless. However, when they find the right conditions in a house, apartment or any other place, they are quick to grow. A food source. Like any other living organism, mold needs to eat. And when it finds a suitable food source – it settles down. You can’t really blame mold, it’s just what nature does. And what does mold eat? Well, literally – your house. Mold is capable of eating through anything that contains organic material, but it is particularly fond of substances with high amounts of cellulose and processed cellulose. This makes paper its favorite food, closely followed by wood, cardboard, particleboard, straw and drywall. As a matter of fact, even dust and lint often contain enough cellulose to allow for the growth of mold. 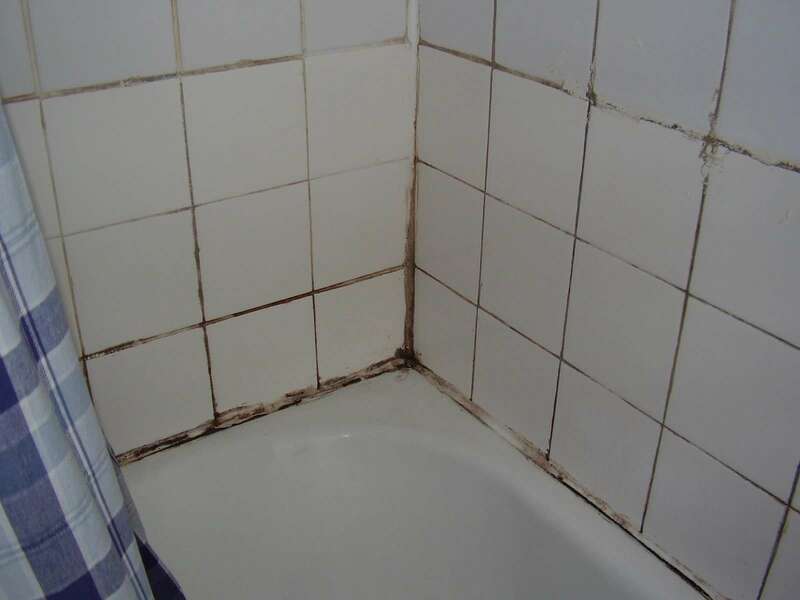 Tile grout is very suitable as well, making mold quite common in bathrooms. Or in other words – you can’t really be surprised when finding mold anywhere since it can grow everywhere. A suitable place to grow. Food is nice, but mold also needs the right conditions. After all, we too don’t just settle down and set up home in the supermarket, right? The surface needs to fit certain criteria to allow for the growth of mold. The first one is the food we mentioned – the surface needs to provide a sufficient source of food for the mold. This makes places such as furniture, clothes, books, carpet, tile, ceilings and walls very susceptible to mold infestations. The surface also needs to be poorly maintained – if you clean regularly, it will be highly unlikely for mold to spread anywhere, but alas – we don’t clean everywhere. There are always places that we neglect. This makes basements, attics and crawl spaces very susceptible to mold growth. The surface also needs to be in a place with enough moisture, as well as without direct sunlight. Moisture. Speaking of surfaces with enough moisture – this is another key component for the growth and spread of mold. Some might say - the leading element that leads to mold infestations. Mold can’t thrive in places with low relative humidity. 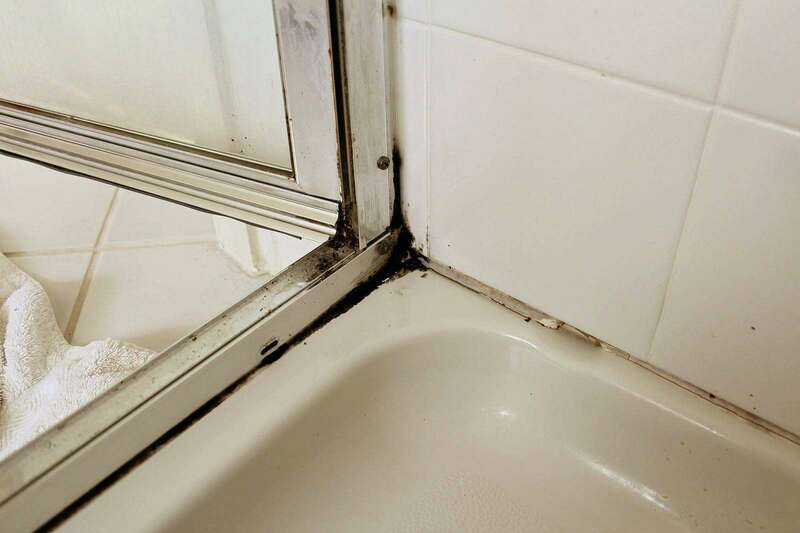 Black mold, in particular, requires more water than any other type of mold, and it also needs it for longer periods of time. This makes it a bit harder to spread, which is good, but yet, we tend to give it these favorable conditions frequently enough. Moisture can come from a lot of different places – it is virtually ever present in the bathroom, but condensation on the windows and the outer walls can also be enough. Even air conditioners or dryer vents can create enough condensation for mold to appear. Leaky pipes can result in massive mold infestations quicker than you can imagine too. Of course, purchasing a suitable bathroom dehumidifier will go a long way to reduce these symptoms. There are other, more “innocent” sounding sources of moisture that can also be enough for black mold to spread – maybe the relative humidity in the air is even just enough! If you live in a humid environment, near a coast line or the tropics, this is a frequent problem. A simple water spill that’s left unresolved, especially in a car or a closet, can also result in mold in a matter of a couple of days. So, as you can see, high levels of moisture really aren’t hard to come by. This is yet another reason why efficient dehumidifiers have become such great inclusions in millions of homes. A great home dehumidifier can drastically reduce the relative humidity in any room, home, or storage space, thus removing the excess moisture and preventing the spread of mold altogether. Oxygen. All fungi need oxygen to live and grow. Unfortunately, you can’t really deprive your home of oxygen in order to prevent the growth of mold – you will kind of hinder the “growth” of your family as well. And even if you could do something like that in a localized area that you fear is getting infested with black mold, doing so wouldn’t really kill the mold fungi but would simply place them into dormant state. Mold fungi can survive in such a state without air for literally millions of years – quite a bit more than us. And once the proper conditions are met again – growth can resume. Low levels of light. Direct sunlight is one of the kryptonite’s of mold. It is not as effective as dry air conditions, but large quantities of light, especially when it contains ultraviolet light, can quickly kill any mold, including Stachybotrys chartarum. This is another reason why basements, bathrooms, garages or closets and the floors of cars are so susceptible to mold growth. So when possible, providing access to direct sunlight can help combat the spread of mold. So, as you can see, while mold has some very specific requirements to grow and spread, they aren’t actually that difficult to come by. Pretty much any home has surfaces that are in a dark place, that contain food sources for mold and that can get quite humid. So, proper home maintenance and keeping a high quality mold remover to hand is key to making sure that you never have to deal with black mold or any other kind. Leaks. The things that can leak in a modern home are surprisingly numerous. What’s even worse is that a lot of leaks can go undetected for years. 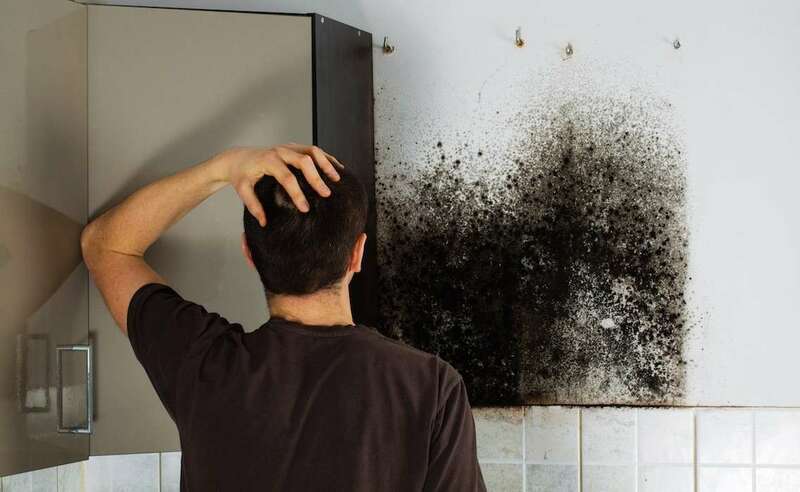 Pipes, roofs, air conditioners, washing machines and toilets are just some of the places that can lead to a leakage and as a result – black mold. Poor ventilation. One of the reasons why modern homes are getting more and more suitable for mold growth is the fact that they are getting more tightly sealed than ever. This is great for maintaining the perfect indoor temperature, but it also makes ventilation more difficult. This causes moisture to accumulate on the walls, ceilings, in closets and all other surfaces. And the fact that this lack of ventilation is usually long-lasting, gives black mold plenty of time to develop and grow which is why products such as crawl space dehumidifiers are so necessary. Flooding. A domestic flooding is something that at least doesn’t happen all that often – and can certainly rarely be left unnoticed – but it can have massive consequences for your home. And one of those is that it can sometimes be so difficult to deal with, that black mold growth can be almost inevitable afterward. Negligence and lack of maintenance. Proper maintenance is the best thing you can do to prevent the growth of mold – both in terms of fixing problems like leaks and flooding, and in terms of frequently cleaning all rooms and surfaces. If you fail to do that properly, mold growth can be expected. Condensation. Introduce warm air to a cold surface and you’ll get condensation. Most commonly found on windows and walls, in pipes, or under air conditioners, condensation creates plenty of long-lasting moisture that is perfect for the growth and spread of black mold. Make sure to protect your home from these causes or from anything else that can lead to high moisture levels in areas featuring mold-friendly surfaces. Doing this is essential for the prevention of mold growth and is one of the best things you can do for your home and family - in turn reducing the need to continually reach for high strength black mold removal products.